It is really important to us that both we know that we are doing the very best for you that we can, and also that YOU can have evey confidence in us that we can deliver for your child. As such, we actievely seek out accreditations and awards to keep us on top, for you, for our children and for ourselves as well. Here is a little summary of what we have been working on in the last few years. It requires us to not only have 100% of our staff formally peadiatric First Aid qualified, but also that we have organised how we are going to use these skills should the worst happen. Purnima Tanuku, Chief Executive of National Day Nurseries Association (NDNA) adds: “Achieving Millie’s Mark is a great achievement for the nursery, it shows that all staff are fully trained in paediatric first aid and that they have reflected on their current practice to improve competence and confidence. Becoming a Millie’s Mark’s nursery is a clear indicator for parents that this nursery has met the highest standards and gives them the reassurance that their children are safe’. 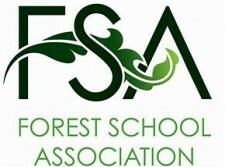 We have been practicing as a Forest School since 2012, and have three fully qualified Forest School practioners, each of whom is more enthusiastic and passionate about delivering this fantastic outdoor learning programme than the next. Every child will take part in Forest School while they are with us, and we know that it will be just about their very favourite thing that we do! Our younger children use natural materials, like leaves, twigs, flowers and mud, to collect, sort, create and learn about the natural world around them in a fun, physical and creative way. Our older children use tools to take part in 'risky' activities such as hammering, sawing, drilling and whittling, as well as lighting real fires on which to cook food and make themselves drinks. Don't worry, these activities are fully supervised and controlled by our teachers, so are very safe. In 2016 we became one the first nurseries to be accredited in this Hounslow based scheme. It focuses on providing the children with a language rich environment, staff that know how to extend and build childrens language skills at their own level of development, and get the most out of every single interaction with the children in their care. Children 'Bump Into Books' throughout our school, and we have an extensive 'Early Literacy Lending Library' which all children take full advantage of. You can rest assured that your child will have high quality talk time with their skillful, knowledgeable and experianced teachers throughout their day with us. and their personal, social and emotional development. 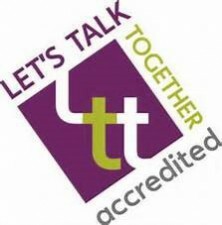 Charlotte de Lacey, our manager, has also been an assessor for other Early Years settings wishing to complete their accreditation. 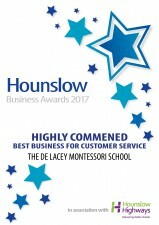 In Autumn 2017 we were delighted to be nominated for the Hounslow Business Awards in the category of 'Best Customer Service'. We were really proud of this, as our families and children really are the heart and soul of our school, and having this recognised really does feel like a huge pat on the back. We were 'Highly Commended' at the award ceremony and literally burst with pride on the night!